If you’re ready to start getting more traffic to your website, you know it’s time to focus of ramping up your SEO. This means getting your site to show up higher and higher on the page in Google when someone searches for a keyword in your industry. 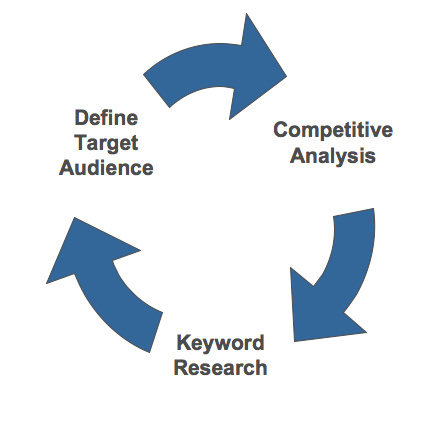 Great… so just focus on keywords that are the most relevant to you industry, right? Well, for some niches it’s just not that simple. Here’s a quick look at identifying keywords that are effective in your industry, and making sure your targeting the right ones. Without knowing exactly what keywords you’re going to target, you have to at least know a couple basic terms from your industry – to populate the keyword suggestion tool. If you absolutely have no idea where to start, check out your competition. Review their site and see what terms they’re using for their products or page headers. Pay attention to the linked terms they feature within their site – this is an excellent window into what they’re targeting, and what terms customers in your industry search for regularly. After you have a descent list of these keywords, you can plug them into the keyword tool and start to analyze the results. You’ll be fascinated with the terms you’ve never thought of that pop up as “related” to your industry! Before you start after these terms in your SEO efforts, make sure to properly analyze their data from the keyword tool. Obviously, the more monthly searches, the juicier the opportunity is. Think about who your customers are as well, and create some filters that weed out searches that you have no chance of converting into customers. For example, if you’re a plumber in New York City – you have absolutely zero chance of converting any search coming from outside NYC. If you sell books printed in English, you’re going to have a pretty slim chance of selling to searches that happen in other languages. Create these filters, and base your analysis on the “local monthly searches” number, not global. While search keywords with the most organic searches may be the juiciest opportunities, you have to look at the level of competition as reported by the keyword suggestion tool. Sure, ranking on the first page for a term with fifty ba-zillion monthly searches would be great – if you can get there. Do you have a team of SEO monkeys ready to do your bidding? Chances are not. You’re going to want to begin by targeting a majority of less competitive terms with a competition ranking of “medium” or “low.” Include maybe one “high” competition term just to get your foot in the door, and so you have some ground down the line when you’re really ready to throw some resources at the targeted keyword. You’ll have a much better chance of making a difference in your rankings for the low competition terms with your limited resources – rather than wasting all of your effort on high competition terms that you won’t see a result for. There’s no right or wrong in the variance of keywords you target, but it’s important to understand your strategy here. Perhaps you want a shotgun approach of all of your product terms for an overall smaller boost? Or, maybe you want to go after five, or ten, or fifteen related product terms to push the results of your company’s sales for that specific product? Either way, leave as little up to chance as possible and decide your strategy for the variance of your targeted keywords before your launch SEO efforts for them. This is the only way you’re going to be able to track your results in actual repeatable sales once this all pays off. Once you have a basic understanding of how the Google Keyword Tool works, you can begin to analyze competitive keywords and effectively target your best organic, high traffic keyword goals.